The Hawaii Bankruptcy Means Test was enacted in 2005, as part of the Bankruptcy Abuse Prevention and Consumer Protection Act, brought by Congress. It was realized that for a while now, there were high-income debtors who were filing for bankruptcy in order to get relief from the unsecured consumer debts, whereas they could actually afford to pay for the debts, or at least, a considerable portion. The means test is primarily aimed at people who want to file for Chapter 7 bankruptcy, which fully discharges the debts. For those who fail the test, filing can only be done under Chapter 13 and 11, which comprise a payment plan. Filing for Chapter 7 of the United States bankruptcy code is an option available to people who are struggling with unsecured loans, such as payday loans, medical debt, utility bills, credit cards and some personal loans. This option is available to people who live under a certain income threshold, and that is why people have to take the Hawaii bankruptcy means test. In Hawaii, there are income thresholds that apply to households having different numbers of members. The test will determine if the applicant qualifies, depending on how many people live in the house, and are dependent on the income of the person who is applying for chapter 7 bankruptcy. The average income of a household is calculated on the income that the household gets over the last 6 months. If you want to take the test, you should use a Hawaii Bankruptcy Means Test calculator, to determine whether you qualify. If for the last 6 months, your income shows that you are above the limit and your income has been declining, then you should probably wait for a few more months so you qualify. After the median monthly income has been calculated on the basis of 6 months, it is then multiplied by 12, to get the median yearly income, which determines whether you can apply for Chapter 7 or not. Here is a list showing the median income, and the number of members in a family, which one must meet before applying for Chapter 7. 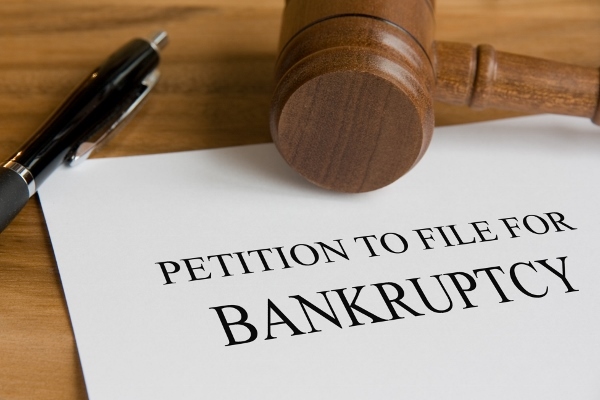 The 2005 Bankruptcy Act states that all who want to apply for Chapter 7 Bankruptcy Relief must undergo 6 months of credit counseling before they can file for Bankruptcy; after the filing, a compulsory financial management course must be completed. All secured and unsecured household debts. All property accrued by the household; this includes every asset, and not just real estate, as most would think. Titles to any cars that the household owns. Titles to any real estate. Documentation for all loans that you have taken. With this information, you can personally determine which properties are exempt from seizure; ideally, you should get the help of an attorney, who will guide you through the Hawaii exemptions for such properties. There are several forms, and a compulsory two-page petition, which must be lodged at a Hawaii District Bankruptcy Court. These documents are called a Schedule, and in them, you will properly describe your financial situation to the court. These documents are crucial, because if the judge or creditors find out that you have withheld financial information, you could jeopardize the chances of your petition succeeding. When filing for Chapter 7 Bankruptcy, you will be required to pay $306, in fees, which are also payable in installments, but if your situation is dire, the court may waive the fees. Usually, the test is taken by those who are filing for Chapter 7, since their income is below the required threshold, and they are in dire need of relief. However, there are applicants who may score above the median requirement, but are also in need of relief; these people can file for Chapter 13 Bankruptcy relief. In this case, you are asking the courts to arbitrate a payment plan, which you can manage with your current income. In other words, you are saying that your debts and credit obligations are too high, and you can only repay them according to a certain plan. What your monthly income is. How much you will pay to your creditors. How much will be left over for your monthly expenses. What are your priority claims; these must be paid in full, and include payments for child support, taxes, etc. What are your other obligations; these can be paid in parts, and include medical bills, credit cards, all secured and unsecured loans, etc. This information must be given out in good faith and you must commit your disposable income into the program for at least three years. You should also make sure that all unsecured loan repayments are made in amounts that would be paid, had you filed for a Chapter 7 Bankruptcy relief plan.